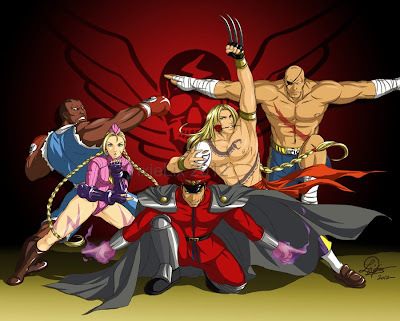 There's something to be said about Street Fighter villains posing. While Cammy and Sagat have now used their abilities to fight evil, they were once part of the Shadaloo lead by M. Bison. This fan art by TixieLix also displays Balrog and Vega.